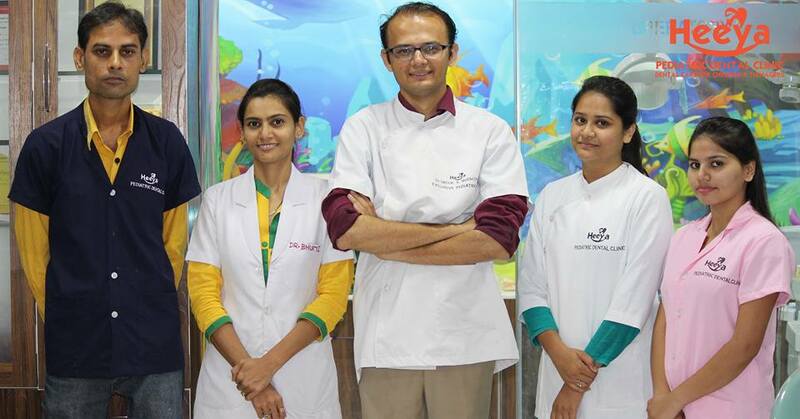 Dr. Daivik K. Modh practices at Heeya Pediatric Dental Clinic in Gurukul Road, Ahmedabad. He is extensively doing pediatric dental practise since 7 years.he is famous for painless treatment in child and friendly communications , He completed BDS from k.m. shah dental college, baroda in 2009 and MDS - Pedodontics and preventive dentistry from ahmedabad dental college and hospital in 2013. He is a member of Indian Dental Association and Indian Society of Pedodontics and Preventive Dentistry. Some of the services provided by the doctor are: Apexification, Emergency Dental Treatment, full mouth Oral Rehabilitation, dental vaccine and management of special child etc. Excellent work as pediatric dentist. I appreciate his treatment. Excellent service from HEEVA PEDIATRIC DENTAL CLINIC.